Occasionally, there will be that one drone that is so easy to use such that it is recommended for preschoolers. The JDRC JD-20 is such a drone. The minimum recommended user age is from 3 years onwards. It is safe, easy to fly and handle. Why it is not exactly a toy drone, you can buy it for young and older kids alike. It is also a good drone for adults. Basically, this is a drone for just about everyone that loves flying toys. The first thing that you will notice about this drone is it foldable arms. 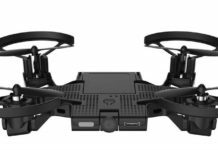 About the looks of this drone, it looks like a DJI Spark. That alone endears it to many users. 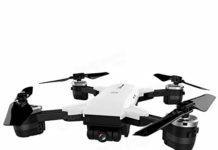 While it is not exactly a DJI, it is still a good drone and it can withstand the rigors of first time flights. This is a small drone though, as the package it is delivered in measures just 21cm by 17cm by 8.5cm. Considering that it is foldable, you can carry it in your jacket pocket easily. 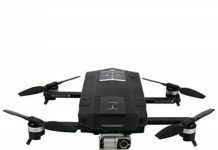 The JDRC JD-20 is a camera drone. When you buy one, you get to choose the kind of camera you want from several of them. One is the 0.3MP camera, quite small and the quality of your photo footage will not be any good. 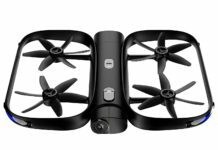 This drone is mostly sold with the 720P 2MP camera. You can use your smartphone for the FPV mode. The drone flight system is controlled by a 6-axis gyroscope. This keeps the camera stable, taking nice video and photo footage even when the flight is not very stable. Combined with a 120-degree wide-angle camera, you should be able to shoot good footage if the lighting is good. This is a small drone, but it also packs some incredible stunts. For example, it can do sideward, forward and backward flips. This is purely a fun feature, but one that you would not like to miss in the drone all the same. You may also choose from three speed modes. If you are a newbie, choose the low speed setting and as you gain more experience, you can try other speed modes. Combined with the 360-degree rolls that we have discussed above, this drone is a lot of fun to fly. You can fly this drone in headless mode. This is a very important feature for the beginners because you do not have to worry about the direction that the nose is facing. Just engage headless mode and the drone will fly back to the controller. For safety, this drone has been designed with one-key return feature. This allows you to return the drone back to its launching point when there is wind, or when the battery goes low. There is little danger of the drone flying out of sight because the flight range is 60 meters. Use the altitude hold feature and enjoy flying this drone some more. This means that you can preset the height and when you launch the drone, it will hold stable at that height, taking nice video and photos. The JD-20 is powered by a 3.7V 800mAh lithium polymer battery. You will get a flight time of 10 minutes. If you would like to enjoy more flight time, you can buy with more than one battery – order two or three more batteries. The charging time for the battery is 90 minutes. The transmitter is small and nimble, with very responsive controls. It uses 3 AA batteries. It does not come with these, but they should be easy to buy. I bought the JD-20 drone without expecting a lot from it apart from flying. However, I was pleasantly surprised when I found out that every feature works just as the manufacturer says it should. 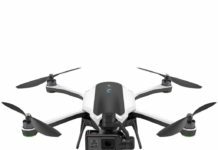 Roy K.
If you buy this drone without too high expectations, you will not be disappointed. 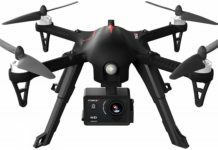 It has the basic standard features such as headless mode, FPV, altitude hold and other features that have become standard in the industry. I am only disappointed with the camera, but again, I have learned that when you use it in well lit conditions, it works well. Bryan S.
When I bought this drone, I knew nothing about drones. I learned to fly on it, crashed it a few times and it came out intact. For a fun drone, it has some impressive features too. James G.
This is a simple drone, has a short flight range and basically does what the manufacturer says it can do. Thus, in future, you will need to upgrade to a bigger drone. 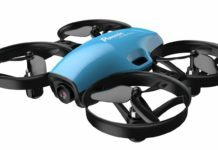 Lyne N.
When I saw the manufacturer recommended age of 3 years, I thought I would buy this drone for my 7-year old son. I monitored him when flying it and sure enough, he learned quite fast. Sammie R.
I think this drone is too expensive. I bought it for its features but with such a short flight time and low quality camera, I think it should be cheaper. Antoinette W.
Can follow trajectory flight – draw a line between two points on your smartphone and the drone will follow that. Who Should Buy The JDRC JD-20? 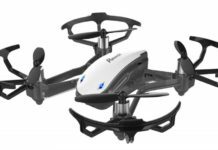 Although it is said to be a good drone for beginners and children, the JDRC JD-20 drone is good for just about anyone. It is easy to fly, has some advanced features like FPV, altitude hold, headless mode and many more. For a beginner drone, this is a very impressive drone. You can buy the drone for children as young as 4 years old. This drone has been made with high quality plastic casing so that it can withstand the abuse that first timers are sure to subject it to. If you would like you or your child to enjoy using this drone, you should know a few important things. First, it is recommended that you buy a couple extra batteries with the drone. That way, you can fly it much longer. Secondly, it is recommended that you fly the drone in calm conditions so that you enjoy all the fun features, even the 360-degree flips. Also note that you will not be able to store your video footage on the SD card on the drone. Videos will be stored in your smartphone, but you can transfer them later. All things considered, the JDRCJD-20 drone is a good buy for your money. 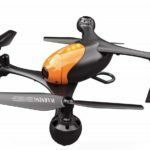 Best Drones Under 250 Grams – No FAA Registration Needed!